After his girlfriend is kidnapped, Wei must fight through an invasion of hopping vampires, demons, and the ghosts of his past who are threatening to take over the city. Luckily, Wei has new moves and weapons at his disposal to make it through this nightmare. Starring Wei Shen, the Zodiac Tournament invites you to become the dragon and unleash your fists of fury! You must utilise all of your best moves as well as some new ones, to defeat the island’s hidden big boss as Wei enters this deadly game of death. New fighting styles, new combatants and new collectibles are also included in this retro gameplay add-on. It is the eve of Chinese New Year, and Cultists have emerged to cleanse the city of Hong Kong so that they will earn their salvation after what they believe will be the end of the world. Earn back your honor in the HKPD by sabotaging the cultist plot across six new missions set after the original Sleeping Dogs story. It is the eve of Chinese New Year, and Cultists have emerged to cleanse the city of Hong Kong so that they will earn their salvation after what they believe will be the end of the world. 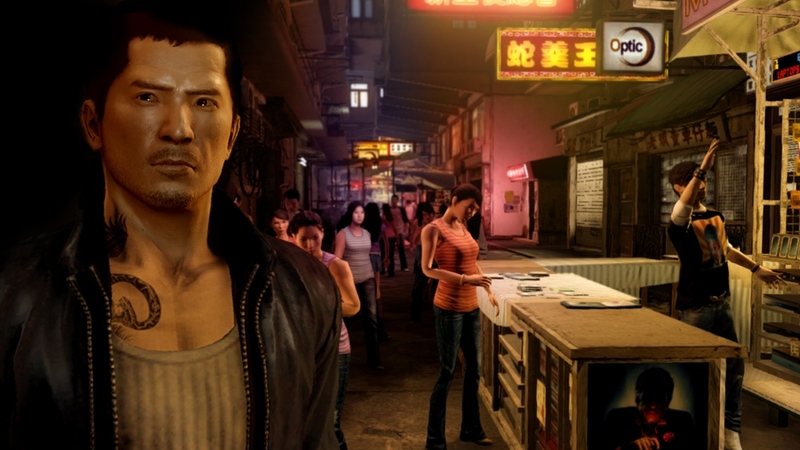 Earn back your honor in the HKPD by sabotaging the cultist plot across six new missions set after the original Sleeping Dogs story. Please note there is no Russian language support available for this content. 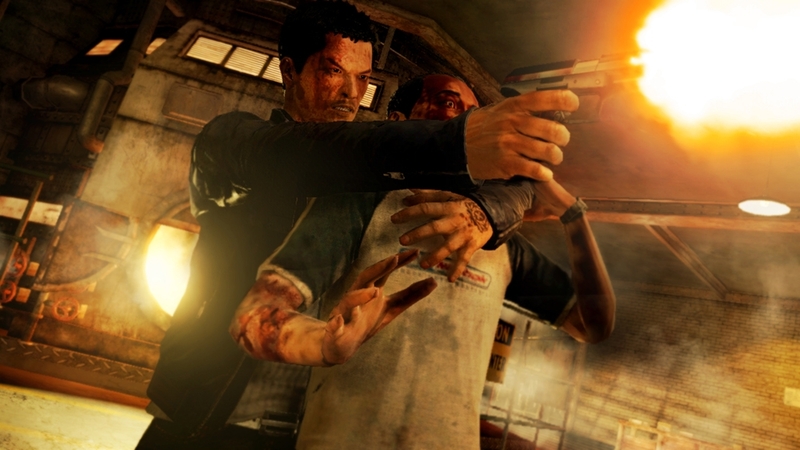 When installed, Russian subtitles and all other game text in Sleeping Dogs appears in English. The Wheels of Fury Pack gives you full control of the ultimate prototype supercar to tear up Hong Kong - the DZS-90. Uncover the story of Dr. Tang’s secret prototype across 5 all-new missions - each time adding incredible upgrades to the vehicle. The DZS-90 in its final form includes twin, concealed roof-mounted machine guns, 4-wheel steering, an electronic magnetic pulse, boosted speed and armor, and new styling options to show it off. You asked, we listened - the Law Enforcer Pack grants you ultimate access to everything the HKPD has to offer. Included are the SWAT Tactical Uniform, the Crime Scene Investigator outfit, plus five vehicles - the SDU Armored Truck, the HKPD Cruiser, the HKPD Motorcycle, the HKPD Van, and the HKPD SUV. Please note there is no Russian language support available for this content. 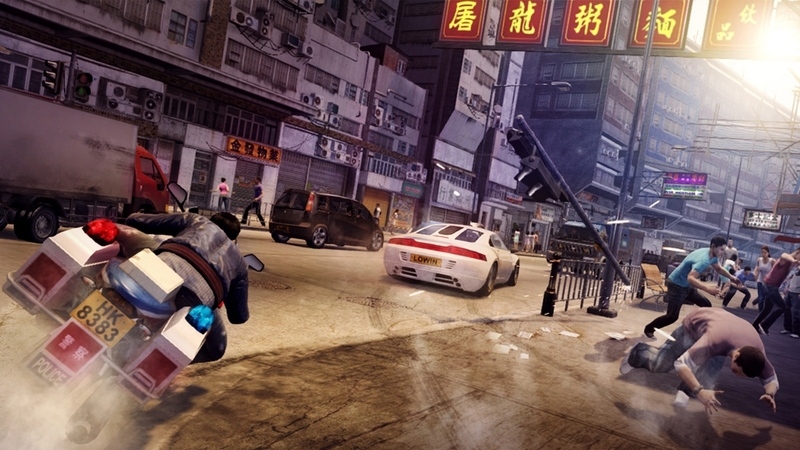 When installed, Russian subtitles and all other game text in Sleeping Dogs appears in English. Don the outfit of the lone Vigilante, become a heroic legend with the Unknown Warrior outfit, or coat yourself in an armor of bronze and take on all manner of attacks while wearing the Bronze Warrior outfit. With the power of the immortals great strength is bestowed upon you! The Monkey King outfit includes its own buff, signature weapon, and vehicle. While wearing this full-body outfit you are automatically granted a double-handed staff during melee and can travel across Hong Kong on the unique Cloud Motorcycle. Please note there is no Russian language support available for this content. 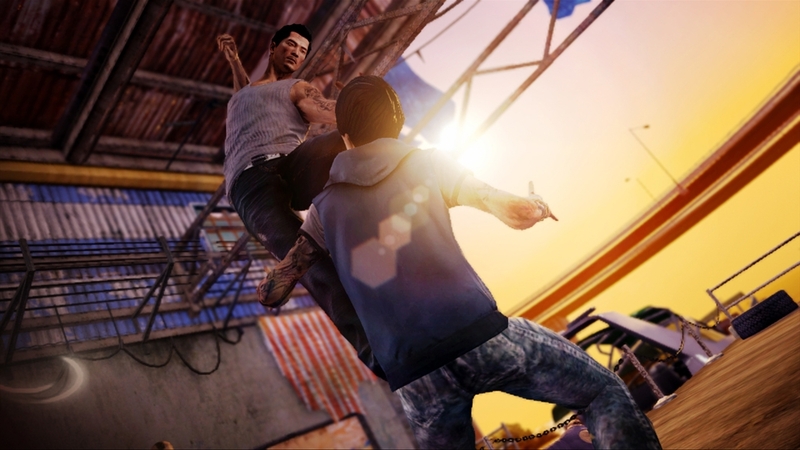 When installed, Russian subtitles and all other game text in Sleeping Dogs appears in English. With the Drunken Fist outfit Wei unleashes this exclusive fighting style. While in combat, filling the face meter will enable you to drink from your flask and perform special moves and unique counters. Sway like a drunkard, hit like a mule. Become a silent assassin, augmented warrior or king of chaos! Wei Shen dons new disguises in this pack, with three new outfits and three new weapons from Square Enix's Hitman, Just Cause and Deus Ex games. Each outfit includes its own buff and signature weapon. The Dragon Master Pack gives you the five preorder packs in one, for a discount price. The Police Protection Pack, the Martial Arts Pack, the Deep Undercover Pack the GSP Pack, and the Triad Enforcer Pack are included. Each individual pack is also available separately. It’s a high-speed shoot out in 'Triad Highway.’ Armed with a high capacity machine gun, fight a tide of Triads after your head. ‘Death by 1,000 Cuts’ puts you in a brutal fight club taking on the Triads with a razor sharp golden cleaver. Wear the Triad Enforcer outfit for added Face and more punishing damage. Catch criminals like a true SWAT officer with the Police Protection Pack. Unlocks exclusive High Speed police mission, SWAT outfit, SWAT police cruiser car and SWAT assault rifle. Become the elusive movie star with the Ghost Pig mask. Dogeyes’ black fedora hat, an assassin’s straw hat, and a lone sheriff’s hat are also included in this free pack. Command authority as you dominate the streets with the Tactical Soldier Pack. The Assault Rifle from ‘The Funeral’ and ‘Civil Discord’ missions with its under-barrel grenade launcher will be readily available at each of your apartments. Always accessible, grab it whenever you feel the need to unleash a display of force. Gain 50% bullet damage resistance when the complete armor set is worn. A selection of community gifts from us, to you. Get yourself an exclusive UFG tuned Bisai car with loud paintwork and an even louder engine. Complete the look with a UFG t-shirt. Also included is an authentic luchadore wrestler mask, as an extra token of our appreciation. Want that fast track to the in-crowd? Look like the real deal with the super fast, luxury Tuono vehicle and High Roller outfit. Plus, with an extra $200k to burn you can be sure to get ahead and get noticed. Please note this pack gives you early access to the Tuono vehicle and the High Roller outfit, these items can also be earned through the normal game progression. Need help buying that fast car, fancy threads or luxury item for your new apartment? For fortune and prosperity download the Red Envelopes Pack. Stuffed with cash, these envelopes are scattered throughout Hong Kong, find them all and you'll net a cool 1 Million HK dollars. Boost your Cop, Face and Triad Experience Points to earn respect fast and gain new abilities. Gives you 8,250 Triad, 4,500 Cop and 4,500 extra Face Experience Points. For the ultimate in upgrades combine with the Top Dog Silver Pack.